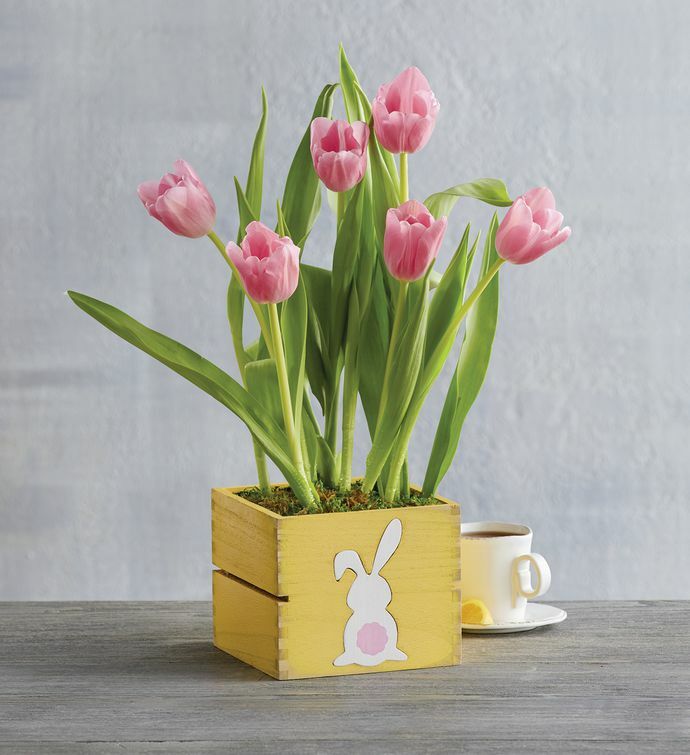 Celebrate Easter with a beautiful and playful display of pink tulips in a festive wooden crate. A white bunny with a pink tail adorns the front, making a wonderful addition to your Easter table. Care instructions are included to ensure your tulips thrive long after arrival. 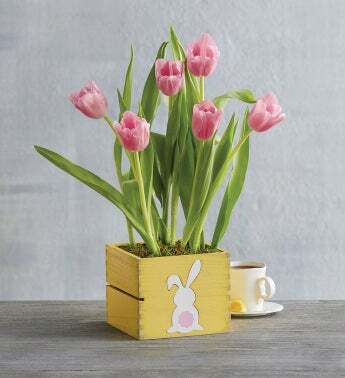 The tulip bulbs arrive pre-planted in soil and grow pots, nestled inside the crate. Allow 4-6 weeks for your bulbs to begin sprouting.